It was not a good week for the Kenyatta government. Foreign Minister Amina Mohamed’s campaign for the African Union Commission Chair did not pay off, Kenyan Defence Forces (KDF) failed to withstand another Al-Shabaab attack, and corruption has risen despite policies that promised the contrary. In the light of the coming elections, these three incidents represent very important issues for the government: international status, security and the fight against corruption. On Monday, 30th January, Amina Mohamed was unable to win the vote to become chair of the African Union Commission, despite the Kenyan government’s intense campaign involving months of lobbying and shuttle diplomacy on behalf of the president and his deputy. Even her reputation as the woman that fought the International Criminal Court for President Kenyatta and Vice-President Ruto did not land her the position. The Francophone African countries forged an alliance during the voting process. The final push in favour of Chad was supposedly given by three neighbouring countries – members of the East African Community (EAC) – which changed camp during the vote. But this result is about more than winning or losing the chair of the Commission for Kenya, it also means that questions can still be raised about the KDF’s role in the charcoal and sugar business in Kismayo, Somalia. Kenya has been trying to minimise the attention given to the investigation by the UN Monitoring Group and independent researchers for quite some time. It remains to be seen what the newly elected AU Commission will do with that dossier. The KDF continues to cause the Kenyan government concern. On Friday, 27th January, Al-Shabaab attacked Kulbiyow camp, an AMISOM post run by the KDF. Al-Shabaab announced that they had killed more than 50 KDF soldiers. The KDF responded by saying they were pursuing the enemy and that everything was under control. This weekend they confirmed that nine soldiers were killed. The following Monday, Al-Khattab media – an Al-Shabaab affiliate – published a series of pictures showing the events as they unfolded, including victims, the burning remains of the camp and military vehicles taken from the KDF. Survivors even stated that they had been warned about the attack. They were surprised nonetheless that three vehicles with improvised explosive devices were able to enter the camp, explode and cause considerable losses to the KDF. The Kenyan army managed to flee the camp and regroup to launch a counterattack but the damage had been done. The new attack resembles that of El-Adde one year ago on January 15th, 2016, when the KDF was taken by surprise by Al-Shabaab in a very similar fashion. Were the appropriate lessons drawn from this earlier incident and applied? As the aftermath of events continues to unfold, we will have to see what the KDF will do with this information. Their track record in handling investigations, criticisms and in drawing lessons from past events is questionable so far, as we have seen with Westgate and Garrissa. On Wednesday, 25th January, Transparency International published their yearly corruption index. Kenya is sliding further down the list, now sitting at 145 of 176 countries, despite the adoption of a few anti-corruption measures including the passing of a law on the right to information. Kenyatta came to power in 2013 with the promise that tackling corruption was one of his personal top priorities in his first term as president. During President Obama’s last trip in 2015, a ten-point anti-corruption programme was announced, but the Kenyatta government did not live up to its promise and even had their own corruption scandal with the National Youth Service. With an eye on the 2017 elections, Kenyatta is repeating his promise about a fight against corruption as other presidents have done before him. But why would he deliver now when he has had an entire term to do so and failed? The Kenyatta government invested heavily in its international image on the African continent and was confident that it had the backing of its neighbours and members of the EAC. Now that it is clear this was not the case, Kenya has said it will re-evaluate its position towards its neighbours. The key question is: why are Kenya’s former allies abandoning the country and what does that say about Kenya’s status according to surrounding countries? Kenyatta sold Kenya as an African leader that stands up for the continent, but this angle is no longer credible. The Kenyan government has been struggling in the fight against terrorism that became an issue of national security after it joined AMISOM in 2011. Despite international support, the government has not been able to make the necessary improvements to the security services and has been very slow in adopting lessons from the attacks it has undergone. It will take more than slogans like ‘I stand with KDF’ to change security for Kenyans on the ground – especially in time for the next elections. 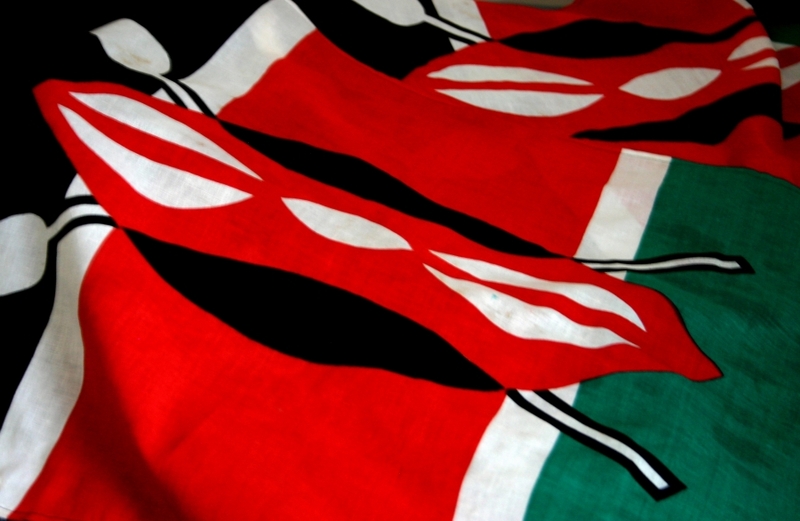 Likewise, Kenya has had substantial international support in the battle against corruption over the years but has not shown much improvement – on the contrary, it has declined, as its fall in the anti-corruption rankings shows. Why would making similar promises on corruption and security have different outcomes this time? This is why the events of this week were a blow to the Kenyatta government and a good illustration of what the administration will struggle against as the elections in August 2017 draw near.